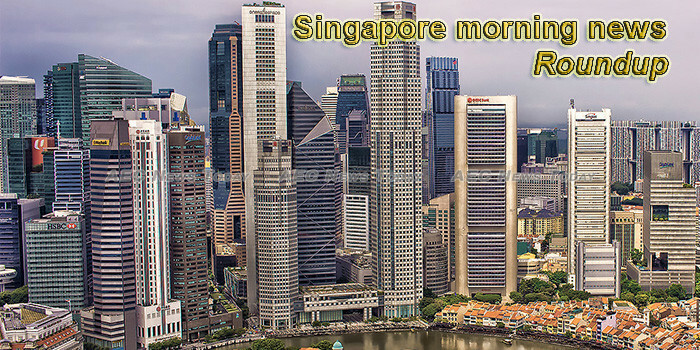 Although a rising interest rate environment bodes well for banks in Singapore, the spectre of rising funding costs is dimming the expectations of fatter margins, especially for local banks who are trailing behind their foreign counterparts in the war for fixed deposits (FD). Imagine food waste being turned into biodegradable food packaging or even returned to the food chain to enhance a product’s nutritional value. AS Singapore’s public health “war on diabetes” rages on, mainboard-listed drinks maker Fraser and Neave (F&N) has uncorked plans to fund more studies on healthier libations. More programmes will be made available to help employees in the air transport sector improve their capabilities. Fintech and AI are two technology revolutions are taking the world by storm. Here are some companies that give you exposure to these fast-growing trends. AN online dispute resolution platform for motor accident claims is expected to be launched in phases at the end of this year, Chief Justice Sundaresh Menon announced at the opening of the legal year on Monday. The 30 best shares in Singapore’s stock market for 2019, according to the Magic Formula. MANPOWER constraints are expected across all sectors due to Singapore’s demographic changes and the keen competition for talent, said Senior Minister of State for Trade and Industry and Education Chee Hong Tat on Monday. ASIA will be the centre of several mega healthcare deals in 2019, including Japan’s largest corporate takeover, as global healthcare deals are forecast to rise 7 per cent this year. A money mule working for an international syndicate that is behind scams involving police impersonation travelled to Singapore 14 times in 2017 to collect and transfer criminal proceeds totalling almost $760,000. Shoppers will soon be able to get their retail fix from 61 up-and-coming homegrown labels, when local design showcase and incubator Design Orchard opens on Jan 25. The judiciary and the Attorney-General’s Chambers (AGC) are ramping up efforts to deal with an increasing workload while tapping technology to increase efficiency and devise lower-cost solutions for the public. There were no Monday blues for local investors yesterday, with stocks starting the week in sprightly fashion, thanks to upbeat US wage data and dovish comments from the Federal Reserve over the weekend. The operator of Platinium Dogs club has been arrested and is assisting with investigations on alleged animal welfare-related offences, said Senior Parliamentary Secretary for National Development Sun Xueling on Monday (Dec 7). Skillsfuture Singapore will roll out a new Earn and Learn Programme for the air transport sector in collaboration with SIM Global Education and gateway services provider SATS. The fishing grounds at Lower Peirce Reservoir have been reopened after about 140 venomous stingrays were removed from the reservoir, national water agency PUB said on Monday (Jan 7). Netizens online have pointed out that SBS Transit’s outgoing CEO and executive director Gan Juay Kiat, who resigned from his top position in two weeks ago over “personal indiscretion”, earned a hefty $1.2 million in 2017. CapitaLand Limited (SGX: C31), which rose 2.6% today, is acquiring a prime office building in Shanghai, China. In a speech at the Opening of the Legal Year 2019 on Monday, January 7, Singapore’s Attorney-General Lucien Wong emphasized the challenges that Singapore faced last year, specifically with its closest neighbor, Malaysia, due to the political changes in that country. Comparison between the track records of DBS, OCBC and UOB to determine the best performer. In 2018, 100 companies spent S$1.53 billion in share buybacks. A proposal for Singapore’s F-15 fighter jet training to be conducted in New Zealand on a long-term basis will not be taking off, said the Ministry of Defence (Mindef) yesterday. Fifteen-year-old Jaburooth Rakshana made a profit of $2.7 million yesterday, by underwriting several cases that insured clients from potential risks, such as piracy at sea and accidents in shopping malls, among other possible hazards. CHIEF Justice Sundaresh Menon will be starting a new round of dialogues to find the best course of action for the future of the legal profession in an attempt to counter the triple forces of globalisation, technology and growing commercialisation of the law, which are dramatically altering the legal landscape.